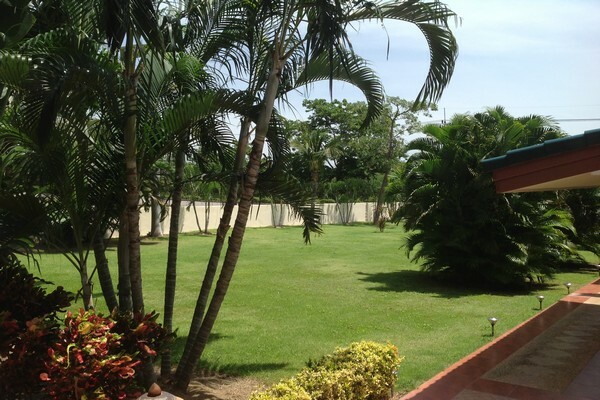 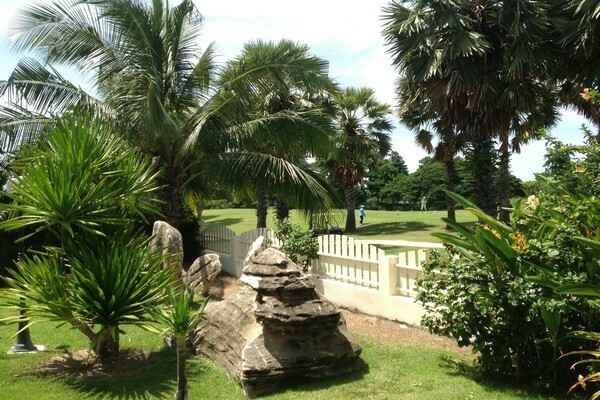 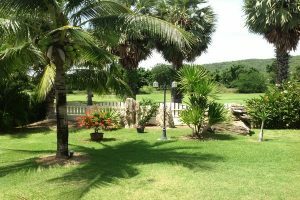 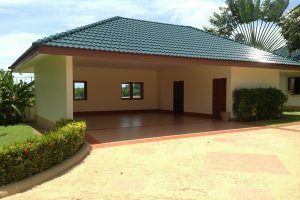 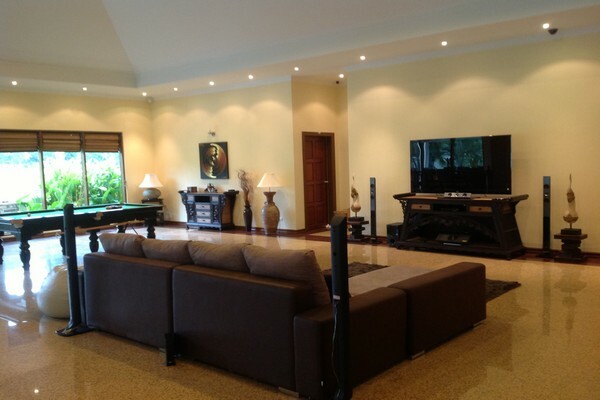 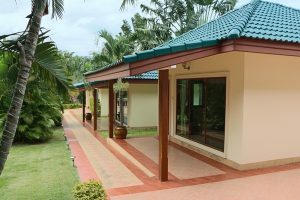 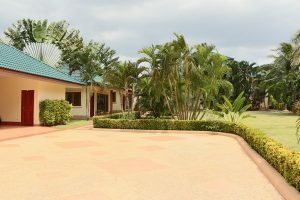 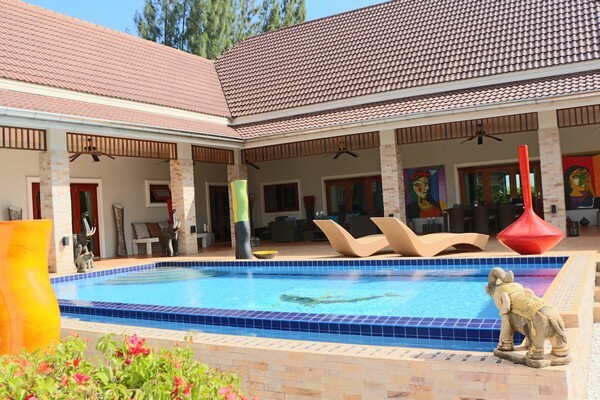 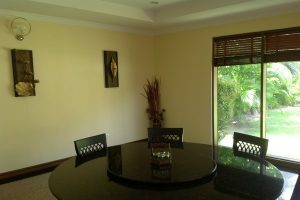 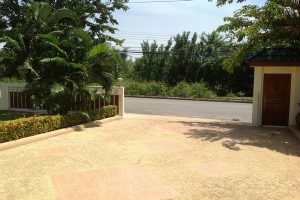 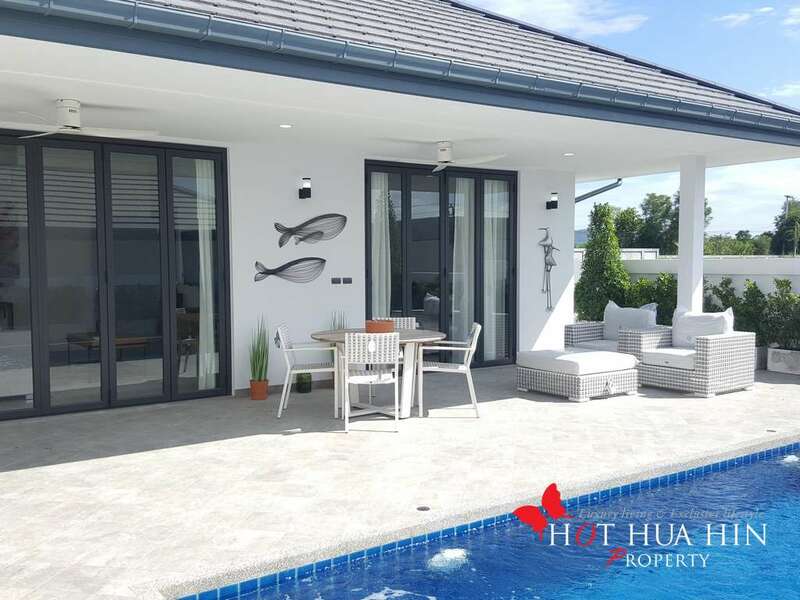 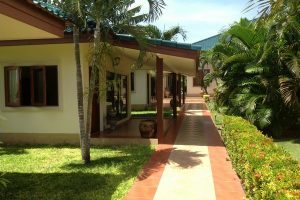 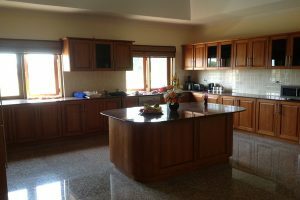 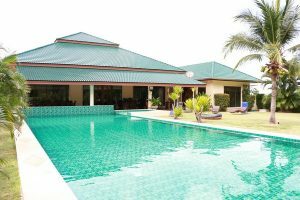 This large bungalow is for sale in Palm Hills, Hua Hin’s premier golf development located 7 km north of Hua Hin’s town centre. 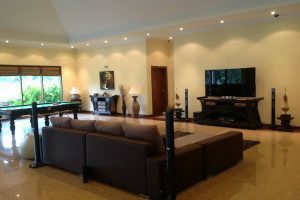 Just a few of the many features this home has includes an industrial sized kitchen, an oversized infinity pool with breathtaking views of the golf course, a jacuzzi that seats 20, a steam room, two separate one bedroom en-suite guest suites, an underground gym with a viewing window into the deep end of the swimming pool and maids quarters. 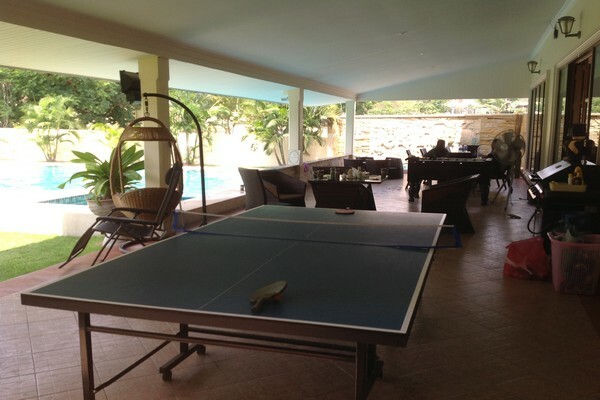 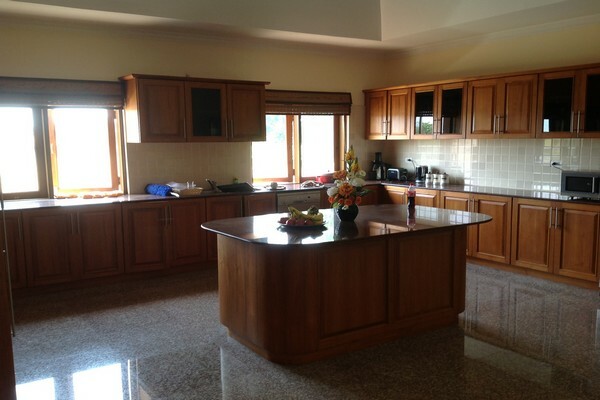 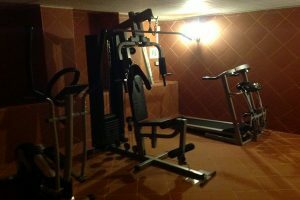 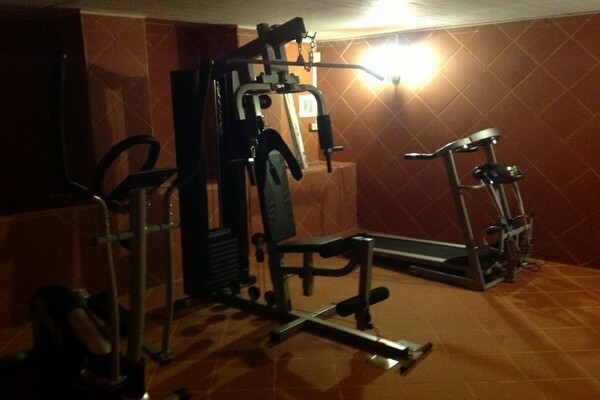 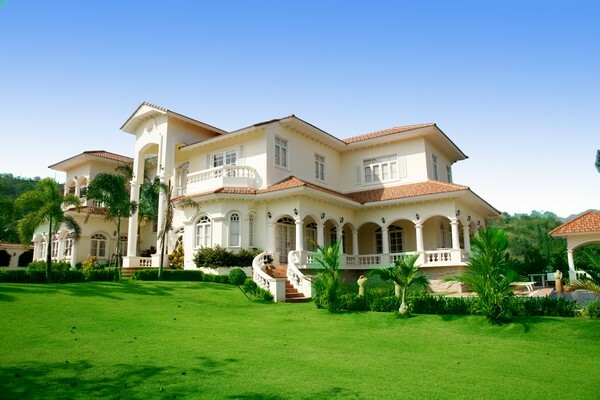 This home is being sold fully furnished and comes with lifetime family memberships to the Golf Club & Fitness Club.